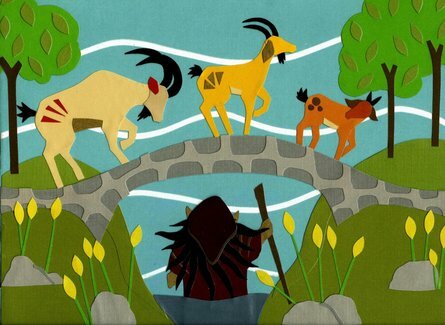 Join our living history team at the Navan Centre&apos;s live action interpretation of the story of the Three Billy Goats Gruff – the perfect Easter experience for all the family! Trip-trap went the Three Billy Goats Gruff on their adventure to find some lovely green grass! They trip-trapped here they trip-trapped there until they could see a hill full of grass! To get to the grassy hill they have to cross a bridge, but the bridge is home to the meanest Troll in all the lands! Will they be able to get pass the Troll or will the Troll Gobble them all up? There is only one way to find out!